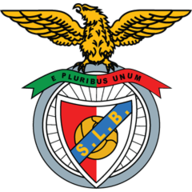 Both sides started the game well but it was Benfica who broke the deadlock on 11 minutes through Cervi's low shot from the edge of the box that deflected past David Ospina via two ricochets off both of Mertesacker's feet. The visitors were not ahead for long, though as Walcott brought Arsenal level after 24 minutes by firing in a close-range volley following an intelligent cut-back from Sead Kolasinac after the Bosnia international had doggedly won the ball inside Benfica's box. Theo Walcott scored twice as Arsenal thumped Benfica. Shortly afterwards, Walcott added his and Arsenal's second with another simple finish after being picked out at the far post by Francis Coquelin, who had combined well with Kolasinac down Arsenal's left flank. With just five minutes remaining until half-time, Arsenal gifted their opponents a second goal as a slack pass from Mertesacker eventually found its way to Salvio, whose shot on the edge of the six-yard-box looped over Ospina following an unfortunate intervention by Rob Holding. Arsenal regained the initiative just after the interval with Walcott this time turning provider by crossing into the box and Lisandro Lopez diverted the loose ball onto the post and into his own net. Walcott then passed up a glorious opportunity to complete his hat-trick by blazing the ball over the bar with the goal gaping but his blushes were spared as Giroud volleyed in Arsenal's fourth from Reiss Nelson's pinpoint cross. Iwobi rounded off the win 20 minutes from time with a ferocious shot that flew past Cesar in goal after Giroud had held the ball up well inside the area before club-record signing Alexandre Lacazette came off the bench to a rapturous reception late on to mark his home debut. 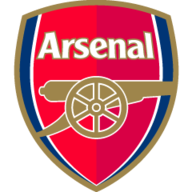 Arsenal end their pre-season programme on Sunday by taking on Sevilla, who beat RB Leipzig in Saturday's other Emirates Cup clash, before switching their attentions to the Community Shield game against Chelsea at Wembley next Sunday.